Our office will be happy to advise you as to which scheme best suits your requirements. 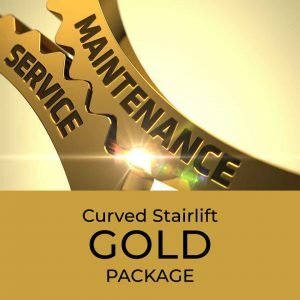 We give ‘call out’ priority to customers with one of our maintenance agreements. Our non-contractual annual inspection and service fee is £78.00 for a straight or curved Stairlift. There will be a charge for any parts and labour required to bring your Stairlift up to standard. We cannot offer a contract on lifts over seven years old.